Receiving unsolicited, get-rich-quick emails has become a regular headache for millions of Internet users. All too often, the result is fraud for their recipients. In 2016, losses from get-rich Ponzi schemes totaled $123 million. FBI Headquarters: Where stopping cybercrime is now a top priority. For additional information on how to protect yourself from cybercrime, check out the FBI’s page at http://www.fbi.gov/about-us/investigate/cyber. 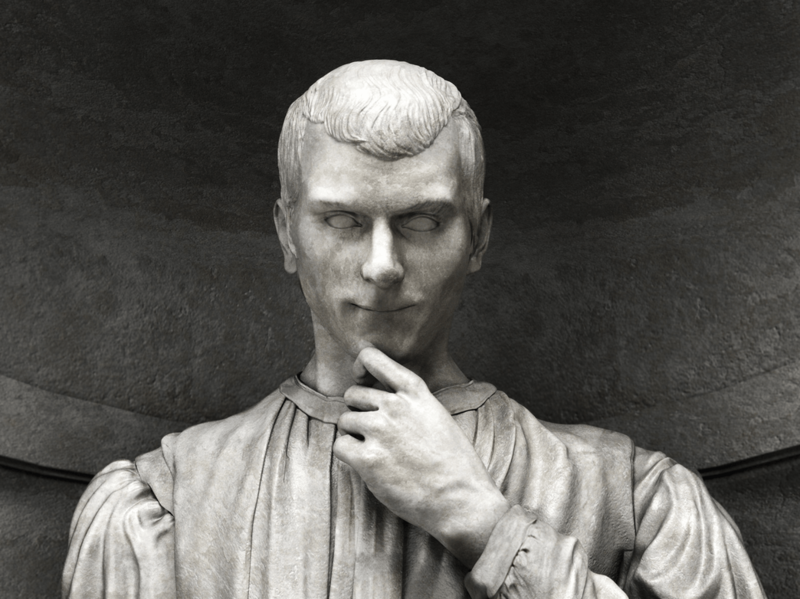 If Donald Trump ever read The Prince, by Niccolo Machiavelli, the Florentine statesman, he’s decided he doesn’t need it. And his ever-falling popularity among Americans clearly proves his mistake. First published in 1532, The Prince lays bare the qualities needed by a successful political leader. At the top of this list must be creating and preserving a sense of his own dignity. Thus, he must appear to be a combination of mercy, faith, integrity, humanity and religion. A prince must take great care that nothing goes out of his mouth which is not full of the above-named five qualities, and he should seem to be all mercy, faith, integrity, humanity and religion. “There is simply no precedent,” went the Times‘ opinion piece, “for an American president to spend so much time telling untruths. Every president has shaded the truth or told occasional whoppers. [He] must contrive that his actions show grandeur, spirit, gravity and fortitude…. It’s hard to convey those qualities in a series of 140-character rants on Twitter. Yet, from the start of his Presidency, Trump has put his ambitions, excuses and rants on social media. Later that day, Corker told The New York Times: “He concerns me. He would have to concern anyone who cares about our nation. …A prince must show himself a lover of merit, give preferment to the able, and honor those who excel in every art. Besides this, he ought, at convenient seasons of the year, to keep the people occupied with festivals and shows….mingle with them from time to time, and give them an example of his humanity and munificence, always upholding, however, the majesty of his dignity, which must never be allowed to fail in anything whatever. A prince need trouble little about conspiracies when the people are well disposed. But when they are hostile and hold him in hatred, then he must fear everything and everybody…. …[The Roman Emperor Commodus], being of a cruel and bestial disposition, in order to…exercise his rapacity on the people, he sought to favor the soldiers and render them licentious. On the other hand, by not maintaining his dignity, by often descending into the theater to fight with gladiators and committing other contemptible actions…he became despicable in the eyes of the soldiers. And being hated on the one hand and despised on the other, he was conspired against and killed. Donald Trump has repeatedly violated these lessons. It remains to be seen if he will pay a price for doing so. Even if you feel you have an airtight case against an airline and want to sue, remember this: The vast majority of cases–civil and criminal–are settled outside of court. In civil cases especially, judges strongly urge both sides to reach a compromise rather than duke it out in court. And both sides are usually willing to do this, since there’s no telling how a jury might rule. Finally, there’s the option of filing a class-action lawsuit. A plus to this is that you’re not alone in your charge against the airline. Other passengers who have been similarly wronged are seeking damages, and so the spotlight is not on any one plaintiff. A minus is that such cases are extremely complex and must be handled by experienced attorneys. Typically, federal courts are thought to be more favorable for defendants, and state courts more favorable for plaintiffs. Many class actions are filed initially in state court. The defendant will frequently try to remove the case to federal court. Another minus: If your side prevails, the amount of money each plaintiff receives will be far smaller than if the award were to be divided between a single plaintiff and his attorney(s). Finally, even if you win, you can be certain the airline will appeal the verdict. Such appeals can go on for literally years. But the most far-reaching reforms can emerge only through Congress. And this can happen only if Americans demand that their representatives create passenger rights through long-overdue legislation. Protections are especially needed when a single airline official–such as a steward–kicks a passenger off an airplane for reasons that have nothing to do with security. Another steward taking offense at a passenger’s request for help. During the administration of President George H.W. Bush, Congress overrode only one of his 44 vetoes. In that case, Congress put a cap on the rates cable TV companies could charge. They did so because their constituents made clear their rage about high-priced cable fees. Only such sustained action will counter the legalized bribes (known as “campaign contributions) the airlines offer to members of Congress. There is new reason to hope that long-overdue reforms may be coming. On April 9, police dragged Dr. David Dao, bloodied and screaming, off his United Airlines flight at Chicago O’Hare Airport. His crime? Refusing to give up his seat for a commuting crew member. He suffered a broken nose, the loss of two front teeth and a concussion. Dao’s mistreatment was captured on cellphone video taken by several passengers. Posted on Youtube and on national newscasts, it sparked a massive outcry. To the horror of company officials, United Continental Holdings stock quickly lost an estimated $255 million to $1 billion. Many passengers cut up their United-Chase credit cards and frequent flyer member cards. Others swore to never again fly United. Yet Dao has plenty of company. In 2016, more than 475,000 passengers who were bumped off American domestic flights–usually due to overbooking. It’s standard practice for airlines to sell more tickets than there are seats. “Airlines overbook because people don’t show up for flights and they don’t want to go with empty seats,” said George Hobica, founder of Airfarewatchdog.com. When a flight is overbooked, federal Department of Transportation (DOT) rules require an airline to first ask passengers to voluntarily give up their seats. Airlines can choose the amount or type of compensation. It’s usually a gift card or travel voucher for another flight. If you are kicked off a flight due to overbooking, you can sue for more money if you believe the compensation offered wasn’t sufficient. If you intend to sue, don’t accept any flight vouchers or cash offered by the airline. And every other airline has a similar “contract of carriage.” These are written by airline lawyers and are entirely biased toward airlines–not customers. Above all, remember: Airlines are run by corporations. Their foremost concern is not your comfort or even safety as a passenger. It’s with further enriching their overpaid key executives. You must be willing to stand up for your own rights–because the CEOs running KGB Airways don’t care about them. There’s a good chance you won’t be able to resolve your problem with the airline. In its September 3, 2009 issue, Time magazine warned that calling the airlines’ customer complaint lines would likely prove a waste of time. The major carriers have, quietly, made it steadily more difficult for customers to reach a person with their complaints. “The airlines don’t want to talk to their customers,” says John Tschohl, a consultant to businesses on customer service. Even the few airlines that still have customer-service numbers bury them deep within their websites. Finding them is often as much a matter of luck as persistence. So as advised in Part Four of this series: Don’t waste your time with Customer Service smallfry. Go directly to the topmost officials of the airline and make it clear that it’s in their best interests to resolve your problem. Then, if you can’t find a workable solution, file your complaint with as many consumer-protection websites as possible. You can also file complaints with one or more federal agencies that hold jurisdiction over the airlines. If your complaint involves security, contact the Transportation Safety Administration (TSA). They can be reached at (866) 2890-6793 or at their website of Click here: Transportation Security Administration |. You can also file a complaint with one or more consumer complaint websites. Below is a partial list of consumer complaint websites. No endorsement is implied by this listing. It’s offered simply to illustrate the variety of such websites available. A final option is to sue the airline. For most people, bringing in a lawyer is like bringing up the heavy artillery. When should you do so? When they aren’t listening to reason. Click here: See you in court: 5 times when you should just sue ‘em. In regular civil court as an individual claimant. As part of a class-action lawsuit. Each approach has its own series of pluses and minuses. One option is to do so in small claims court. A plus is you don’t need an attorney. In fact, you’re barred from bringing in an attorney. You represent yourself, which means you don’t have to pay an attorney–either up-front or at the end of the case. Another plus: It will cost you far less to represent yourself than it will cost the airline to send a representative. If you file in California and the airline is headquartered in New York, it will be expensive for them to send a rep to attend the proceedings. If the airline fails to send someone as its representative–which is highly unlikely–it loses by default. A minus is that you may not be the confrontational type. You may also feel intimidated by the legal process–and afraid of looking like an idiot if you lose. Click here: 50 State Overview of Small Claims Rules | Nolo.com. A second option is to take your case to civil court. A plus is that the dollar-amount you can obtain at this level is far higher than in small-claims court. A minus is that you’ll definitely want to retain an attorney. True, you can legally represent yourself. But aviation law is complex. The airline will definitely have an attorney, so if you don’t, you’re bringing a knife to a gunfight. Another plus: If you can find an attorney willing to represent you on a contingency fee basis, you don’t have to pay him unless you win. His fee will then come out of your settlement amount. Another minus: If you can’t find an attorney willing to take your case on this basis, you’ll have to pay him by the hour, after first putting up a retainer fee, which can be quite large. A third minus is that the courts are clogged with cases, and it can take months or even years before yours will be heard. For your complaint to be addressed, it must first be put in writing–whether in a letter and/or an email. Most likely, several letters and/or emails. If you cringe at writing it yourself, you can ask someone else to write it for you. But if s/he lacks excellent judgment and literary skills, you’ll be no better-off. At best, the letter will prove ineffective and be ignored. At worst, it could open you to charges of libel and/or extortion. And even if the person can write an effective letter on your behalf, chances are you’ll have to pay for that service. 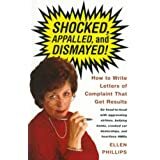 If you decide to write the letter yourself, you’ll find highly effective advice in Shocked, Appalled, and Dismayed: How to Write Letters of Complaint That Get Results, by Ellen Phillips. Who to write to, what to say, what to ask for. The names and addresses of over 600 major companies. How to draft personal petitions covering everything from tenant-landlord disputes to workman’s compensation. What steps to take to avoid litigation. Remove any vulgar or profane words. 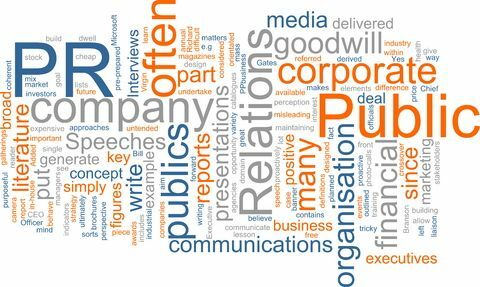 Stick to facts you know can be proved: The who, what, when, where,how and why of good reporting. Don’t attribute motives to people you’ve had problems with. 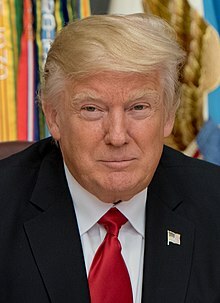 You don’t know why someone did what he did. Cite the names and titles of any airline employees who (1) witnessed the reason for your complaint, or (2) were witnesses to it. Be reasonable and realistic in what you ask for. If you want reimbursement for expenses you had to make (such as hotel lodgings) owing to the airline’s fault, then provide copies of receipts. Emphasize your desire to resolve the complaint amicably and privately within the company. If necessary, note any regulatory agencies that can make life rough for the company if your complaint isn’t resolved. Of course, your overture(s) may be ignored. Or you might feel the airline has not made a good-faith effort to compensate you. In either case, you have two more courses of action to pursue. Threatening the airlines with a private lawsuit. Thanks to the Internet, it’s far easier to spread the word about companies that mistreat their customers. “Fly the Friendly Skies” is no longer n advertising slogan (even at United Airlines, which popularized it). But airlines spend millions of dollars a year on selling just that image of themselves. So anything that threatens to throw mud on that image is guaranteed to set off alarm-bells at corporate headquarters. Especially if that mud is well-deserved. An easy way to avenge airline mistreatment is to make full use of a wide array of consumer-opinion websites. It’s important to check out each website carefully to increase your chances of having your complaint resolved. Most websites simply offer a forum to vent your spleen. Others promise to take various forms of action on your behalf–such as directing your complaint to the airline or a government agency. Others offer to refer your complaint to an attorney..
Others charge a nominal fee (such as $5) for posting your complaint. Some complaint websites are run by the Federal Government–such as those of the Transportation Safety Administration (TSA), the Federal Aviation Association (FAA) and the Federal Trade Commission (FTC). Some are run by individual states–such as the Office of the California Attorney General. The major airlines provide “file a complaint” pages on their websites.
! ! ! WARNING ! ! ! What you say online can hurt you. Accuse someone of criminal or shameful behavior, and you can be sued for libel. Threaten someone with exposure or physical/financial ruin and you can be privately sued and/or criminally prosecuted for extortion. And once you click on the “Send” button, there’s no recalling your email. If possible, try to resolve your problem (assuming it can be resolved) with the airline. You may be able to obtain what you want at that level, without having to do anything more. If you don’t give the airline a chance to address your grievance, you will be accused of pursuing a vendetta. This will be especially true if you later sue the airline. But if resolving the problem isn’t possible within the airline, there are two more options available. If you have a complaint against an airline, don’t waste your time with low-level Customer Service reps. If you want action, seek out those who are empowered to make it happen. But who are those people? And how do you track them down? You start by realizing that every major airline has a website. And that website can usually be counted on to list the top honchos of the company. Its website and/or email address. Remember: The names provided below will not stay permanent. You must do your own research to ensure you’re reaching the right person. Send out a letter addressed “To Whom It May Concern” or to the wrong official–and you’ll instantly be branded as a lightweight. This only shows you were too lazy or stupid to find out who holds power in the company. AirTran Airways is a wholly-owned subsidiary of Southwest Airlines. Thus, complaints against Airtran should be directed to the top executives of Southwest. Your best bet: Contact the CEO–as the highest-ranking officer, he can’t claim his hands are tied by superiors. Next best: Contact the Chief Financial Officer–anyone charged with company profits will be instantly concerned about a problem that can cost big money. Even in our video-oriented society, the written word still carries far greater weight than the spoken one. A document can be used as evidence in a civil lawsuit. Tarnac delays cannot exceed three hours. You can leave the plane if you choose after that. Food and water must be available after the plane has been stuck on the tarnac for two hours. The airline must service toilets, keep air conditioning on, and keep trash cans clean. Compensation when you’re bumped due to overbooking–and for no other reason. An airline must accept lost/damaged baggage liability up to $3,000 in depreciated value per passenger for a domestic flight (limits on international flights are either about $1,700 or $635, depending on which rule applies). Beyond those, all you can claim is what’s in each airline’s “contract of carriage.” Those contracts are written by and entirely biased toward airlines–not customers. Given that the law–and the Congressmen who create it–are still mostly owned by the airlines, you, as a customer, are forced to make do with the weapons at hand. Threatening the airlines with a private or class-action lawsuit. In both cases, it’s best to first contact the highest-ranking officials in the airline company. They have the power to redress your complaint. You can try to reach the CEO or one of his assistants during the time of the incident. But, most likely, this will happen afterwards. If a mini-Hitler of an airline steward decides to eject you because s/he doesn’t like your clothes or request for help, there’s nothing you can do about it. If you physically resist, you will certainly be arrested and charged with some version of domestic terrorism. You’ll be shipped off to jail and forced to defend yourself against the bogus charge. Even if the authorities decide to not prosecute, you’ll have to spend at least several hundred dollars on legal representation. And, of course, the airlines won’t care. They won’t be spending a dime on your prosecution–that will be paid for by the local U.S. Attorney’s (federal prosecutor’s) office. This is definitely the time to take on the trappings of a fox. However painful it is to swallow the insult at the time it’s given, don’t give the airlines an excuse to have you arrested. Take your revenge afterward. That’s what musician Dave Carroll did. Carroll alleged that, in 2008, he and fellow passengers saw United Airlines’ baggage-handling crew throwing guitars on the tarmac in Chicago O’Hare. He arrived at Omaha, Nebraska, his destination to discover that the neck of his $3,500 Taylor guitar had been broken. Carroll complained to three United employees, but they proved indifferent. He filed a claim with the airline–but was told he was ineligible for compensation. The reason? He had not filed the claim within the company’s stipulated “standard 24-hour timeframe.” Carroll turned to his musical roots for a remedy. He wrote a song, “United Breaks Guitars,” and turned it into a music video which he posted on YouTube and iTunes in July, 2009. The song went viral, and became a public relations nightmare for the airline. The Sunday Times reported that, four days after the video’s posting, United Airlines’ stock price fell 10% costing stockholders about $180 million in value. Let’s start with the first: The phone. Most customers assume the place to take their anger is the airline Customer Service desk. And the airlines encourage people to do just that. Customer Service is staffed by people who may ooze compassion but who aren’t authorized to do anything on your behalf. And of course they’ll be well-versed in the standard airline excuses for why your request is denied. Even if they truly want to help you, they’ll find themselves outranked at every level. So take your complaint to someone who has the authority to resolve it. This means, preferably, the CEO of the airline, or at least one of his executive colleagues. This is the single most important lesson in bureaucracy-busting: If you want action, seek out those who are empowered to make it happen. When Leisha Hailey and her girlfriend kissed aboard a Southwest Airlines flight to Los Angeles, a flight attendant told them that Southwest was “a family airline.” When they argued they were targets of homophobia, the attendant ejected them from the plane. In short, the situation was “better resolved on the ground” by forcing two unarmed, non-threatening women to leave the plane rather than having the airline honor their high-priced tickets. Now, a quick question: When does a camera become a dangerous weapon? When you snap a picture of an especially rude airline employee. A Miami photographer was escorted off a US Airways plane and deemed a “security risk” after she did this at Philadelphia International Airport in July, 2011. Sandy DeWitt believed the employee, Tonialla G., was being rude to several passengers in the boarding area of the flight to Miami. So DeWitt, a professional photographer, used her iPhone to snap a picture of G.’s nametag. She intended to file a complaint with US Airways and wanted the picture as evidence. As DeWitt settled into her seat, preparing for take-off, G. entered the plane and confronted her. She ordered DeWitt to delete the photo. DeWitt had already turned off her iPhone, as required before take-off. She turned the phone back on to prove that the photo hadn’t come out. Even so, she deleted the too-dark picture. Suddenly, DeWitt found herself being escorted off the plane by two flight attendants. Her husband followed. Speaking with Michael Lofton, a US Airways manager at Philadelphia International Airport, she learned that she would not be allowed back on the plane. But that didn’t keep Lofton from directing her to American Airlines for a flight back to Miami. But that flight had already departed and it was already after 7 p.m. And there were no other flights back to Miami until the following morning. “We were expecting to spend the night at the airport,” she said. They eventually boarded a Southwest Airlines flight to Fort Lauderdale at 11 p.m. Naturally, US Airways had a cover-story to explain what had happened. Apparently, “disruptive” means whatever an airline official claims it to mean. Business Insider ranked US Airways sixth in a list of the 19 Most Hated Companies in America. The American Customer Satisfaction Index (ACSI) is an economic indicator that measures the satisfaction of consumers across the United States. It is produced by the American Customer Satisfaction Index, a private company based in Ann Arbor, Michigan. The ACSI interviews about 80,000 Americans annually and asks about their satisfaction with the goods and services they have consumed. And Americans’ most-hated companies include large banks, airlines, power and telecom companies. David VanAmburg, managing director at ACSI, offered a critical insight into why these companies are so detested. “These are not terribly competitive industries, as the switching barriers for most of them are quite high,” he told Business Insider in June, 2011. That lack of choice certainly applies to the airlines–whose numbers are limited and continue to shrink due to mergers and the rising cost of fuel. So–when you’re facing a would-be KGB agent masquerading as an airline employee–what do you do? First, you recognize that the concept of “consumer rights” has not yet reached the airline industry. Then you do what you can to see that it does. The concept of “consumer rights” has not yet reached the airline industry. In addition, the U.S. government mandates these “rights” for air travelers. More on this in Part Four of this series.